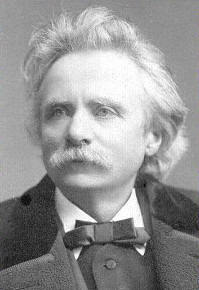 From Norway's greatest composer, Lyric Pieces (Norwegian: Lyriske stykker) is a collection of 66 small to medium sized pieces for solo piano written by Edvard Grieg. They were published across 10 volumes, from 1867 (op. 12) to 1901 (op. 71). The collection includes several of his best known pieces, such as Wedding Day At Troldhaugen (Bryllupsdag På Troldhaugen), To the Spring (Til våren), and Butterfly (Sommerfugl). Erotik is not one of the best known of this collection but it nevertheless is typical Grieg and one can almost imagine this being a traditional Norwegian folk-song. Arranged by Dave Paynfor brass quintet, with optional brass band substitute parts, The pack contains:Trumpet 1 in Bb Trumpet 2 in Bb Horn in F Horn in Eb Trombone (bass clef) Trombone (treble clef) Tuba (bass clef) Eb Bass Bb Bass. Includes Score.